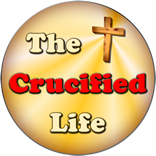 HomeThe Crucified Life Ministries BlogCan your Own Beliefs Be Upheld By God’s Word? 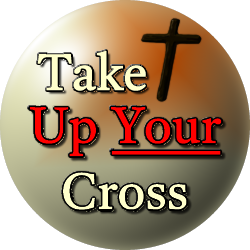 Can your Own Beliefs Be Upheld By God’s Word? Paul had been involved in the political climate in the Sanhedrin kangaroo court and was intimately familiar with the mindsets of both the Pharisees and Sadducees. He knew that there were tension and division between these two factions solely based upon their ideologies rather than based upon Truth. Paul explicitly set God’s Truth before them “on the bottom shelf” and within easy reach but it was mostly ignored and disregarded. The Sadducees had already concluded in their mind there was no resurrection or supernatural presence of God or angels and the Pharisees, on the other hand, believed these things were so. Without holding faith in the resurrection of Christ and claiming His presence and power the message Paul was attempting to convey to both camps was quickly whittled down to just another story or fable rather than being the Truth based on God. This scene playing out in the Sanhedrin kangaroo court must have been similar in nature to our social and political climate of today as factions split or divide along party lines and personal agendas rather than according to the Truth of God’s Word. Dividing according to human reasoning and philosophy rather than according to the Truth hinders both power and progress and can turn into a chaotic situation rather quickly as each party seeks that which he firmly believes is right and true through his reasoning, rather than from any spiritual understanding of the circumstances at hand. Do you believe in the established tenets of the Truth of God’s Word like Paul or do you hold onto what seems right in your limited understanding in your strength as modern day Pharisees and Sadducees?